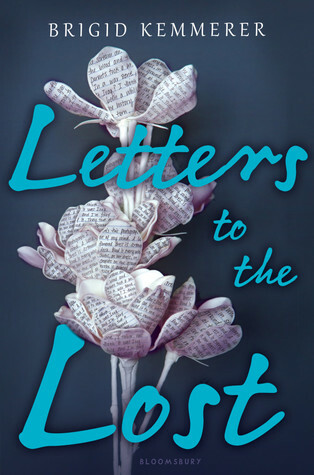 SYNOPSIS: Juliet Young always writes letters to her mother, a world-traveling photojournalist. Even after her mother’s death, she leaves letters at her grave. It’s the only way Juliet can cope. I’d heard somewhat mixed reviews from my friends on this book, but after learning that the ARC of Brigid’s I’d been approved for, More Than We Can Tell, is meant to be read after this one, I decided to go ahead and read it – and I couldn’t put it down. Don’t get me wrong, Letters is an incredibly sad story filled with grief, pain, and regret, but there’s also something tremendously heart-warming and comforting in Brigid’s writing. I’m such a sucker for romances and friendships that form through written correspondence, but I don’t think I’ve ever seen it done while being intermingled with an enemies-to-lovers trope, and this book executes it in such a fun, captivating way. From the start, Juliet and Declan can hardly stand each other – Juliet is self-absorbed and terrified of his large stature and stoic, harsh mannerisms, while Declan has written her off as just another pretty girl who thinks she’s out of his league. While I honestly loved Declan from the beginning – I have such a soft spot for angsty, hurting “bad boys” – Juliet was fairly unlikable at the start, mostly due to the way she treats the people around her. She’s hurting, and her mother’s passing is recent, so she lashes out constantly, whether it’s at Declan, her father, or her friends. The thing about her behavior, though, is you can’t help but empathize for her even when she’s at her worst. It takes some time for Juliet to come around, but Declan is the shining star of character development in this story, if you ask me. In the beginning, he’s at the edge of a cliff, and it’s taking everything in him to make it through one day at a time. He’s living with guilt that nobody should bear, being harassed by his step-father and forgotten by his mother in the wake of his younger sister’s passing. There were moments in his narrative where I was so worried about what would happen to him, but he becomes so strong, and under all the pain and rage is this mushy little teddy bear that just wants to protect the people he loves. Sometimes I think fate conspires against us. Or maybe fate conspires with us. Of course, I can’t review this book without talking about Declan’s best friend, Rev, who is hilarious, awkward, precious, and a delightful addition to every scene he’s in. I loved his character so much, and I didn’t realize until after finishing this book that he’s the star of the follow-up story, so now I’m twice as excited for that one as I already was. I can’t wait to see where life takes him next, and to get to know him and his sordid past a little bit better. “You’re okay,” he says again. I like that, how he’s so sure. Not, “Are you okay?” No question about it. You’re okay. If you enjoy YA contemporaries about grief and healing, or if you’re just like me and you can’t resist a good falling-in-love-through-emails trope, pick this one up right away – you won’t regret it. AH I LOVED THIS BOOK! I received it last year when it first came out and finished it in no time. I am so glad you like it! It was absolutely wonderful! It was so sweet and sad and precious. I’m reading the ARC of the sequel right now and loving it just as much. Okay, after reading your appreciation for friendship built through a written medium I think you should edit your DTTBRH decision to remove P.S. I Like You….It’s a little (a lot) more upbeat than this (and granted has some high school cliqueish stuff) but is still friendship through emails. I am so jealous you have Rev’s book as an ARC! I adore him. Dude! PM me all of your feelings about it because I seriously could gush about it all day! UGH. I need you to focus on it and tell me all the feels, though! It was so good, Ashley! I hope you get to read it soon and enjoy it! YES! Epistolary novels are basically my favorite format of literature. I could read them forever. This is a new book for me, but thanks to you I’ve added it to my TBR. I cannot wait to pick it up. How did this book fall on your radar, Destiny? You know, funny enough, Jackie, this one actually found its way to my TBR because I was able to get an an ARC of her upcoming release, More Than We Can Tell, and didn’t realize it was a spin-off until I’d already downloaded the eARC! Once I did, I figured I had to read this one first, so I hunted it down. 🙂 I haven’t heard a ton about it, still, but it was so good that I hope it will gain more notoriety! Haha– that has happened to me more times than I care to admit, sadly. I don’t mean to request second (third, fourth…) books in series, but I do it far too often on NetGalley. I’m so glad that you found a wonderful read in this adventure. Hopefully the rest of the series will speak just as much to you!